Since the snow is rapidly diminishing and reminders of winter weather seem to be a sore spot for my friends, this is the last of the Snow cards I will present...until later. 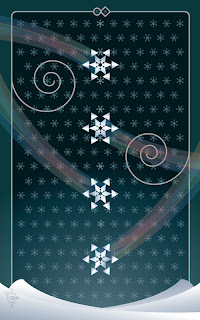 This is a reworking of the original card -- The Slow Meteors -- that was responsible for the invention of the suit. 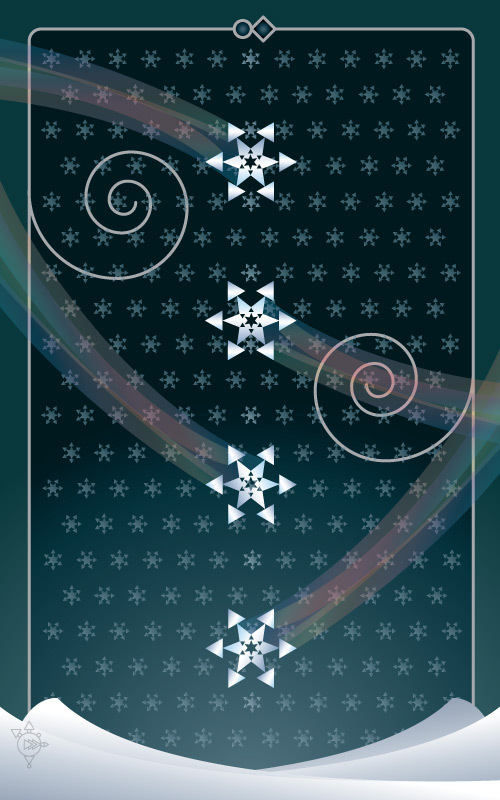 I was never happy with the trails on the snowflakes, so it was on the redo list since it was originally drawn. It went through multiple iterations this time, most of which looked like The Blazing Fast Meteors, but I finally found a pattern for the trails and a color scheme that I liked. In my mind's eye I'm picturing the silhouette of a golfer swinging behind the four snow flakes.